Players want to be entertained, and if they aren’t they simply won’t come back, it’s that simple, or is it? Based in Cape Town, Duncan heads up marketing at global gaming and jackpot systems service provider DRGT™, who’s rather apt vision is: ‘…to develop and deliver the best gaming technology that puts the player first’. Having exhibited at gaming shows in Las Vegas, London, Sydney, Peru and Macao, and with a wealth of gaming marketing and operations knowledge gained during more than a decade with Sun International (Casinos) and a further 8 years with Grand Parade Investments (LPMs and Sports Betting), Duncan is bound to offer some valuable insight and pose some thought-provoking questions. 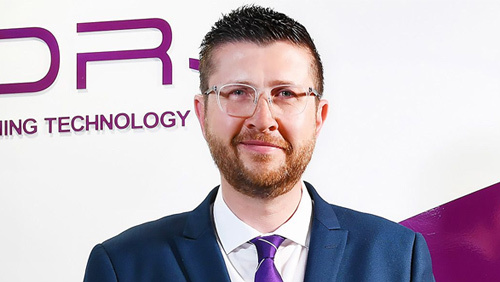 Jordan: DR Gaming Technology™ is a relatively new company and yet has had significant growth worldwide over the past 15 years, what are the key factors driving the success of DR Gaming Technology? Duncan: Jordan you’re quite right. Michiel (van Dam, CTO) and Jurgen (De Munck, CEO) literally started the company out of a garage, and over the last decade and a half they have managed to secure the right staff, with the right attitude and created a real sense of ownership amongst all of us. I speak from experience here; as a relative newbie, I picked up on this almost immediately, everyone just jumps in and gets whatever is required done. Being relatively lean, and independent, also allows us to be flexible, make quick decisions, and move on them. I also believe in fate, and that in many cases timing is critical; I think this was definitely the case with us, the latest technology has afforded is the ability to develop and patent serverless systems and jackpot solutions at the outset, as opposed to having to develop whilst still being cognisant and accommodating of legacy products. 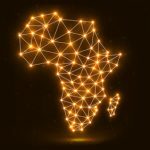 Jordan: As Head of Global Marketing, you must have a pretty good overview of the gaming sector worldwide, what are the main differences between the African market and the rest of the world? Duncan: Yes, over the last 12 months I have been fortunate enough to have travelled to Las Vegas, Estonia, Macao, Belgium, Peru and London, whilst also having travelled to Australia, Germany, Austria and Italy (as well as the US and UK) with Grand Parade Investments. My view is that gaming nuances, despite the obvious effect of varying legislation, mirrors national culture. Where cultures are loud and gregarious, in most cases so are their casinos and betting outlets, and where cultures are quiet and staid, in most cases so are their casinos and betting outlets. It varies at times in respect of street market-style pub and arcade outlets, but this too is driven by the environment. Macao is a very interesting case in point, it looks like Las Vegas, but that’s it! The casinos and hotels are massive, it has a Hard Rock, it has the MGM Lion, it has the Venetian gondolas and canals, it even has Bellagio-style water fountains at the Wynn Palace, but it doesn’t have the crazy insane vibe we all enjoyed in the ‘Hangover I’, why?, because Chinese culture is so different to American culture. In Macao most visitors come to shop and gamble, in Las Vegas they come to party and gamble. Closer to home though, we are all quite excited about the concerted effort regulators in Africa are making through organisations like GRAF (Gaming Regulators Africa Forum) to develop and implement legislation to better govern and control African gaming markets, and benefit national fisci. There have already been significant inroads made in regulating many African markets and as these efforts bear fruit I am of the view that more and more gaming opportunities will arise across the continent for players, operators and suppliers. Jordan: What are the latest products that are becoming increasingly popular in Africa? Duncan: I am sure you are well aware of how sports betting and particularly betting on soccer betting is taking off right across the continent. Although I am have no direct involvement in sports betting, I know from many of my colleagues and associates that this sector of the market has shown some amazing growth, and still presents operators with some massive potential. In terms of land-based game DRGT™ has seen a massive uptake in our tables jackpot game, BlackJack11s. We to date have managed to really make huge in roads in the slots jackpot arena globally, and have enjoyed tremendous success as mentioned earlier across the Sun International Group with the provision of three exclusive jackpot themes in Duma, Sun Striker and most recently the Lions Share, and the obvious evolution was to then migrate our slots jackpot success to tables. We launched BlackJack11s about 18 months ago, and I’m really proud to say that it is currently the most profitable tables jackpot game on the African continent. We have the game installed across a number of Peermont and Sun International properties, as well as at Caesar’s Emerald Casino, and it is literally ‘shooting the lights out’. I think the key success factors are all relatively simple, but critical; in that the game is really easy to learn for players and dealers alike, it’s fun, and it offers players the opportunity of a far larger return than the standard BlackJack game, whilst at the same time having almost zero impact on the primary game’s speed. The fact that operators are also able to allocate double loyalty points to players of the side-bet is a much enjoyed added bonus. 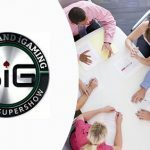 Jordan: You will be part of a discussion about how to make gaming more entertaining at the BiG Africa Supershow this year, what do you believe creates an entertaining experience for players in casino environments? Duncan: My view is that in most cases players feel entertained when they’re actually feeling welcomed and valued. I am sure that you will agree that it is very difficult to ‘wow players with something new’ every time they visit. An ex-colleague of mine often spoke about his ‘theory of diminishing astonishment’ which in simple terms relates to the fact that when you see or experience something amazing for the first time it is just that…..amazing! However, after you’ve seen or experienced it a second, a third, or a fourth time that ‘wow factor’ starts to diminish quite rapidly; hence my view that in order to make gaming more entertaining you actually need to do the basics very well, and then spend as much time as you can, with the help of tailored systems and reports, to understand players (and their behaviour) better and then engage (and entertain) them with what they what, when they want it. Jackpots, draws, bonusing, shows and other events should all be added extras, tailored to specific players or groups of players needs, but all based on well researched trends and behaviour. Jordan: Casinos worldwide are reporting that they struggling to acquire players in the Millennial age group (18- 30), what advice would you give casinos who are facing similar issues? Duncan: Historically speaking have casinos ever really secured a significant portion of the 18-30 year old market? I think we’re all getting swept up in what is ‘hype’. Traditionally 18-30 year-olds have never been significant contributors to land-based gaming’s revenue, and as noted before regarding your question about the ‘… differences between the African gaming market and the rest of the world’, my answer is similar; look at culture. What do most 18-30 year old’s do, and I’m referring to those who do have disposable income to spend on entertainment: they have fun with their friends, they socialize and they find out literally who they are and what they like to do. They try many new things, some they like and some they don’t and gaming is one of them for sure. Then once they have decided what they like, and again I’m referring to those 18-30 year olds with disposable entertainment income, they have life to take care of , studies perhaps, actually making a living, establishing careers or businesses, all of which take up valuable time, add to that settling down in a relationship perhaps, and maybe starting a family and I think my view really starts to hold water. In fact I think that in the future the demographics of casino players may change quite significantly, with a bit of a new segment of valuable players between the ages of 30 and 35, as many couples now tend to want to establish themselves a bit better and as a result start a family a bit later in life, and then a drop off to possibly even as late as 50 or 55, and then a climb again along the lines of the 55+ demographic we generally see now. Duncan: The key take home for me will be the opportunity to meet other industry stakeholders, and engage in what I trust will be some robust and insightful discussion, and debate. Duncan Pollock looks forward to meeting you in person at the 6th Annual BiG Africa Supershow. 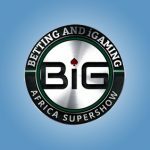 See more information on the BiG Africa Supershow and how you can register below. Eventus International is proud to present the 6th installment of the BiG Africa Supershow, which will be held at Emperors Palace from 25 – 26 March 2019. 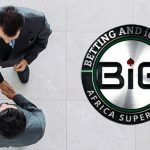 BiG Africa Supershow 2019: Networking activities and more!